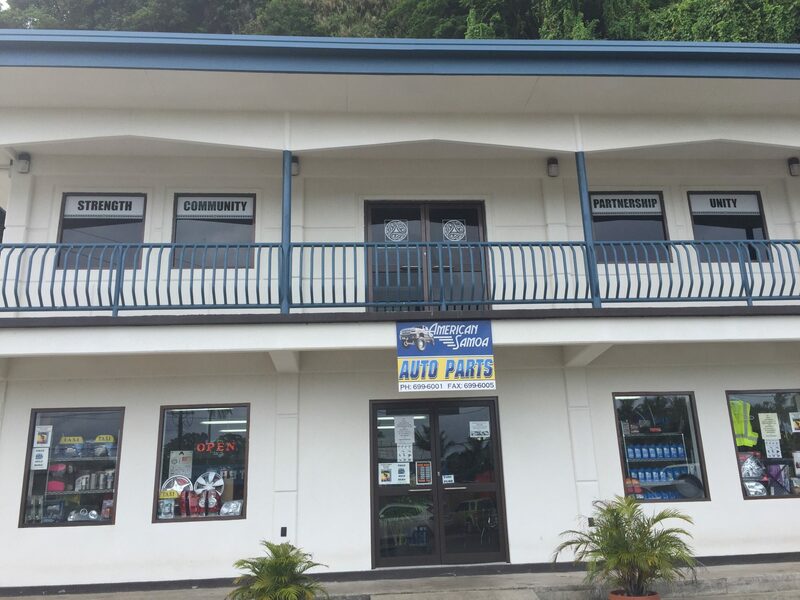 We are a diverse community group of advocates with a common goal of helping the people of American Samoa fight cancer. 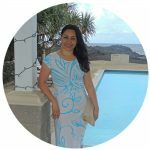 A unique piece of our community is the Fa’a Samoa, the traditional context of our people and way of life. Instilled in it is the fundamental belief that family and faith come first. We are a family of women, men, fathers, mothers, sisters, brothers, sons and daughters who are faithfully dedicated to our mission. We offer wholistic approaches to helping people with cancer. The effects of being diagnosed with cancer do not stop with the physical, but extend to the psychosocial, emotional and even financial burden for the patient and their families. We understand there are limited resources to diagnose and treat cancer on island, so we focus on two priorities to unite our activities. 2) Aid those who have been affected with cancer. We understand it takes strength and perseverance of our members and staff. We utilize these to support each other and accomplish our mission. As we are dedicated to our mission, we realize that collaboration is vital to success. It has been through partnerships and working together in the community that we have been successful. We will continue to use this and our dedication to the community as long as cancer affects the people of American Samoa. Joining the ASCCC is free! If you are interested in joining our family through support, advocacy, fundraising and volunteering, we would be grateful for your help. Click here to complete a membership form. Chairman: Taotasi Mr. Archie Soliai, is the second longest standing board member and served as Vice Chair previously. 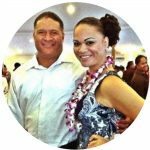 Coming from the village of Nu’uuli, he studied Political Science which helped him while serving as a Faipule for his village, where he advocated for legislation such as the Smoke Free Environment Act. After many years with GHC Reid, he has since joined the team at Starkist. When not at work or serving in many numerous other civic organizations on island, he likes to read books like The Firm, golf, and spend time with his family. He feels his biggest strength is communication and tends on using this to “increase cancer awareness and screening so that cancer prevalence is reduced”. 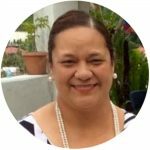 Vice Chairman: Mrs. Nadine Solofa-Taufa’asau, currently works at Neil’s Ace Home Center as the store manager for over 15 years. Her attention to detail, organization, and a Bachelor’s Degree in Business Administration from Chaminade University in Honolulu has contributed to her success. 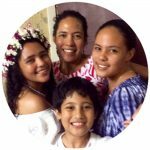 Living in Tafuna, she spends her spare time reading and with her family. Her favorite quote is “Each new day is a gift from God, how you live it is your gift to Him.” During her time as a board member she would like to ensure that donations raised by the ASCCC are used for the best purposes for the community, increasing awareness of cancer and ways to living a healthier life. 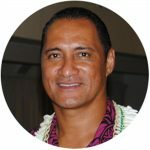 Mr. Va’a Tofaeono has been with the ASCCC since it officially started in 2004 and is the Special Projects Coordinator and Program Director for the INSPIRE program. For 12 years he coordinated the successful planning and implementation of the first comprehensive cancer control plan. This resulted in two exemplary awards for a Pacific Island Jurisdiction by C-Change, a national level organization created by former President George H.W. Bush and First Lady Mrs. Barbara Bush. As a non-voting member of the board of directors, he manages the daily operation of the coalition and provides overall guidance to all programs of the coalition. He believes that cancer control in resource limited areas is a complex issue. Making it important to stay on task and network to achieve the mission of the coalition. It has been through long term dedication of the board of directors, members, and staff, that have made the coalition successful. Mrs. Luana Yoshikawa-Scanlan has been member and active volunteer since 2006. During that time, she provided short term contract work for various projects that were funded by small foundations and organizations. 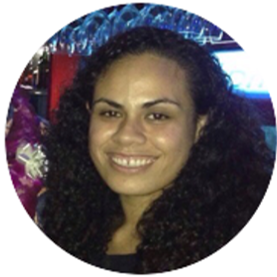 Currently she is the lead consultant of the Tautai Lavea’i technical assistance grant to manage the 12-year-old cancer patient stipend program and offers guidance and oversight of the INSPIRE program as Co-Principal Investigator. Thanks to her 15+ years of community work in both cancer and animal control, she has knowledge of project development, management and implementation skills. She also understands the psychological and emotional sides of the cancer experience, that give her the determination to accomplish our mission. Ms. Marilyn Ho Ching has been with the coalition for the past four years. The first two as a volunteer and the last two as the Racial and Ethnic Approaches to Community Health (REACH) Local Project Assistant. 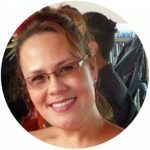 During that time, she has been instrumental in working with both the Diocese of Samoa – Pago Pago and the Congregational Christian Churches of American Samoa (CCCAS) to develop organizational policies to eliminate tobacco use on church grounds and supporting health beverages at church sponsored functions. Her experience in volunteering and collaborating has also been helpful in fundraising for the coalition, as she has lead the coordination of the “Swing into Action” annual golf tournament to raise funds for the stipend program. 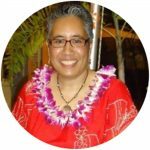 Mrs. Salote Aoelua-Fanene has been with the ASCCC since October of 2016 as the Community Liaison for the INSPIRE Program. Her roles include developing and implementing a media plan, establishing productive relationship within the community and to help coordinate activities and events. She has a strong dedication to provide compassionate service to ensure proper communication with patients and/or their families who are seeking information on cancer. This, and her ability to work in a team environment, is further evident in her establishment of a successful summer reading program to promote health literacy for youth in 2017.